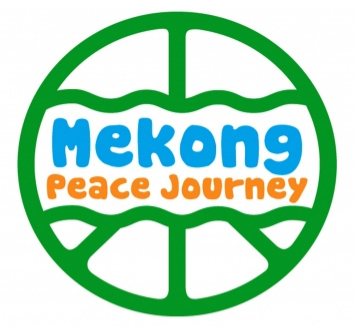 The Mekong Peace Journey (MPJ) 2012 is a part of the Regional Learning Process on Peace Building initiated by Mekong Working Group for Peace since 2010 consisting of the regional strategic team from Burma/Myanmar, Cambodia, Laos, Thailand and Vietnam.
? To strengthen and expand cooperation and network for further peace building in the Mekong region. The MPJ will be held for 25 participants on July 7th ? 29th, 2012 in the cross border areas of Laos, Thailand and Burma/Myanmar. General contents of the training cover peace-related issues such as peace concept, conflict resolution, nationalism, pluralism, and identities. The training methods are in-house training and field trip. After the training, 8-10 representatives would be selected amongst participants to enroll in Internship Program. This program will be conducted in different Mekong countries in accordance with interns? interested fields. The participants must be young adults at 18-30 years old from diverse backgrounds (social works, economics, laws, agriculture, media, etc.). Successful applicants must be open-minded, able to travel and adapt to new environment, committed and willing to apply what they learn from the training into their community and field works. Having working experience in social issues at least two years, good English skill and strong networks (either formal or informal) are an advantage. Young adults from ethnic minority and indigenous groups are strongly encouraged. 1) Completed Application Form ? Download 2012 MPJ Application Form. 3) One Letter of Recommendation ? Download Letter of Recommendation Form. The deadline of submission is 20 May 2012. Applicants should send an email with subject ?Mekong Peace Training Application ? [Name] [Country]? to mekongpeacejourney@gmail.com. Note: The participants from Burma/Myanmar had been selected since last March 2012.